With the Windows 10 Anniversary Update combined with several previous updates, Microsoft will now tie your Windows license to your Microsoft Account. This means that if you swap out hardware, such as your motherboard, you’ll no longer need to convince Microsoft you’re trying to get one over on them with your Windows 10 license. 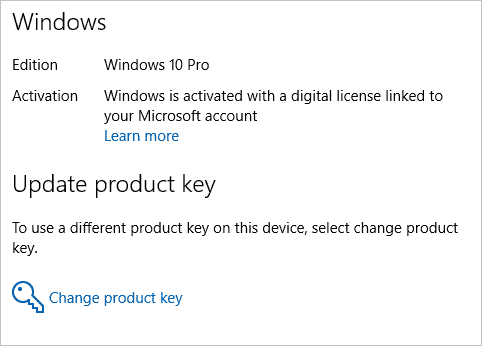 You’ll be able to clean install Windows 10, then not worry about activating your product key. Let’s look at how this works and what you need to do to tie your Windows license to your Microsoft Account. Many Windows users, since the release of Windows 8, have provided feedback to Microsoft asking them to incorporate this feature. Since Microsoft ties your Windows 8 and up license to your motherboard, if you swap it out, you lose that license key. In many cases, calling Microsoft can take care of the issue, but the company is under no obligation to help you because you agree to the Terms of Service when you first activate Windows that it’s tied to current hardware, not new hardware. By allowing consumers to tie licenses to their Microsoft Accounts, they shouldn’t have to worry about upgrading or replacing hardware, at least in theory. According to Microsoft, as long as you have an active Microsoft Account, your Windows license will not automatically be tied to the account. To activate the linked license, you need to run the Activation Troubleshooter after installing a clean OS if it doesn’t pick up the license on its own. Microsoft Accounts will be automatically linked to the license when used to sign in with the release of the Windows 10 Anniversary Update. The Activation Troubleshooter is another new feature introduced in the same build. It allows you to run it to re-activate a system under certain circumstances. Microsoft mentions hardware changes but also when the wrong version of Windows is installed on the device. If Windows 10 detects an issue with your license, a troubleshooting option will be available in the Settings app under Activation. 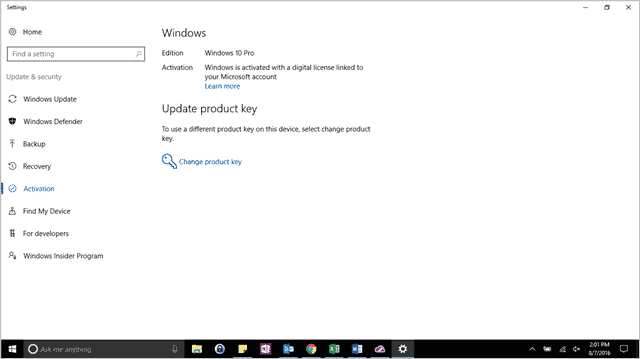 Running this will allow you to show you’ve changed hardware recently and choose the PC from your Microsoft Account. You’ll then be able to assign the license to that device and proceed with activation. There is a reactivation limit, but Microsoft has not released the details of this limit, yet. If it’s like previous disc-based installations, calling Microsoft typically gets you around this issue. If you’re currently using a Local Account versus a Microsoft Account, the only way this feature will work is if you use a Microsoft Account. By tying your Windows license to your Microsoft Account, you’re saving yourself the headache of having to deal with activation issues when installing new hardware down the line. This alone is worth using a Microsoft Account versus a Local Account with the Windows 10 Anniversary Update.